More than 70 years have passed since Bro. 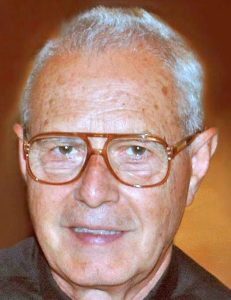 Gilbert Pretto, CSC, lived under German occupation during World War II, but he still has vivid recollections of growing up in Castelgomberto, a small town in the province of Vicenza, Italy. His father, Ernest, left Italy years prior in search of work and served in the U.S. Army during the war. Bro. Gilbert, his younger brother and mother remained in Italy. An educator in the faith, Bro. Gilbert taught grammar school in New Jersey, New York and for many years at Our Lady of Mt. Carmel elementary school in the Bronx. He continued to pursue photography and developed new talents in Eastern art and computer programming. In fact, while he was still teaching at Mt. Carmel, Bro. Gilbert began a new ministry, a website devoted to educating people on Catholic faith and teachings, that has continued well into retirement.